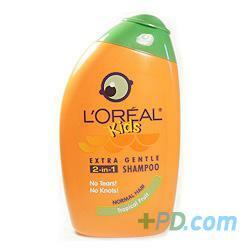 Buy Loreal Kids 2 in 1 Shampoo Tropical Fruit Mango 250ml. The creamy, conditioning 2 in 1 formula of L'Oral Kids. Tropical Mango 2 in 1 Shampoo helps eliminate knots and leaves hair smooth, soft, manageable and smelling of mangos. Lâ€™OrÃ©al Kids Tropical Mango 2 in 1 shampoo and conditioner has a tear free formula and easy use bottle, it's never been so fun to shampoo. The L'OrÃ©al Laboratories have created L'OrÃ©al Kids, a haircare range designed especially for kids. 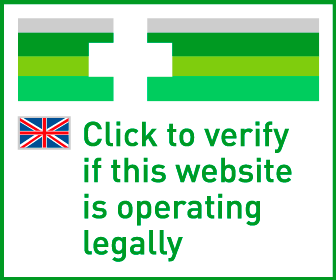 Opthalmologically tested, L'Or©al Kids ensures your kid's hair stays soft and healthy. Its no tears, no knots. Delivery cost of "Loreal Kids 2 In 1 Shampoo Tropical Fruit Mango 250ml"